I have to start with being grateful for my wife. She's my love. We've made so many wonderful memories together and gone on so many fantastic journeys. I don't know where I'd be without her and wouldn't want to even imagine anyway. She's also given me #2 on my gratitude list. I have a lovely little family of four now. I have my afore mentioned fantastic wife. Together we have a crazy little, wonderful super hero princess. She now has a little baby brother, who she will let you know that is her baby brother. Times in our house can be quite crazy right now, but wouldn't trade it for anything. Next, I have to be grateful for technology. I love my technology but it is also my job. So without it, I wouldn't have a job that I love: writing code. I'm grateful for everything technology has given us all, from a computer in my pocket to crazy medical advances, from connecting across the world to wasting time pinning geeky humor. That's the beauty of technology. 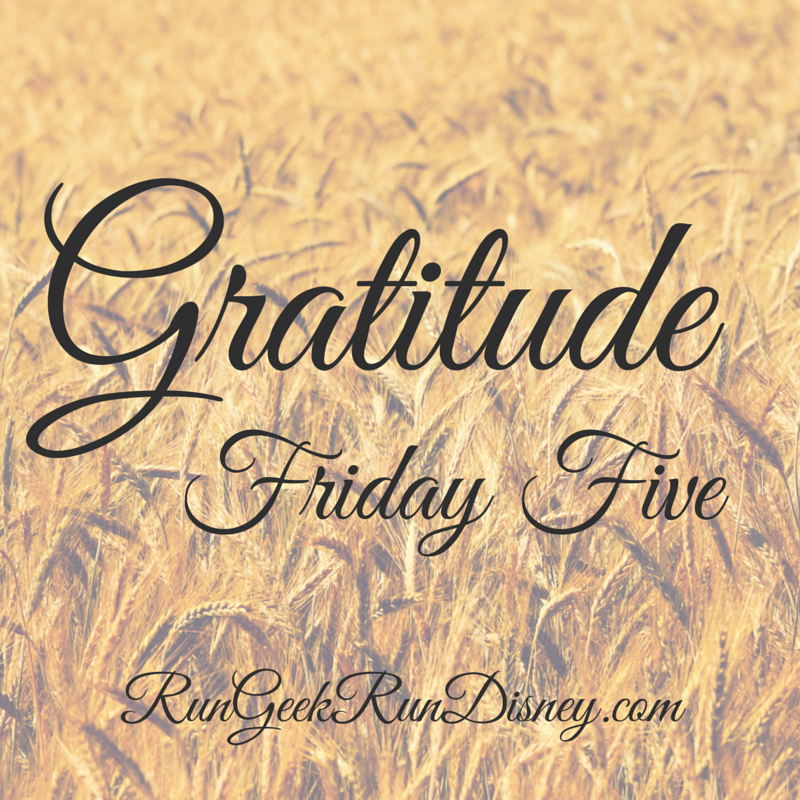 I'm very grateful for running. I enjoy getting out there and having my shoes hit the pavement. I'm also well aware to be grateful that I have the opportunity to run. That's something I hope I never take for granted. Can't be too touchy feely. I'm grateful beer. There's the oft credited (though backed up my nothing) quote of Ben Franklin, "Beer is proof God loves us and wants us to be happy." Hard to argue with that. A nice cold beer is a great way to relax or enjoy with a meal. I love most beers, but really enjoy them more the darker they get. Give me a stout and see a happy grateful me. 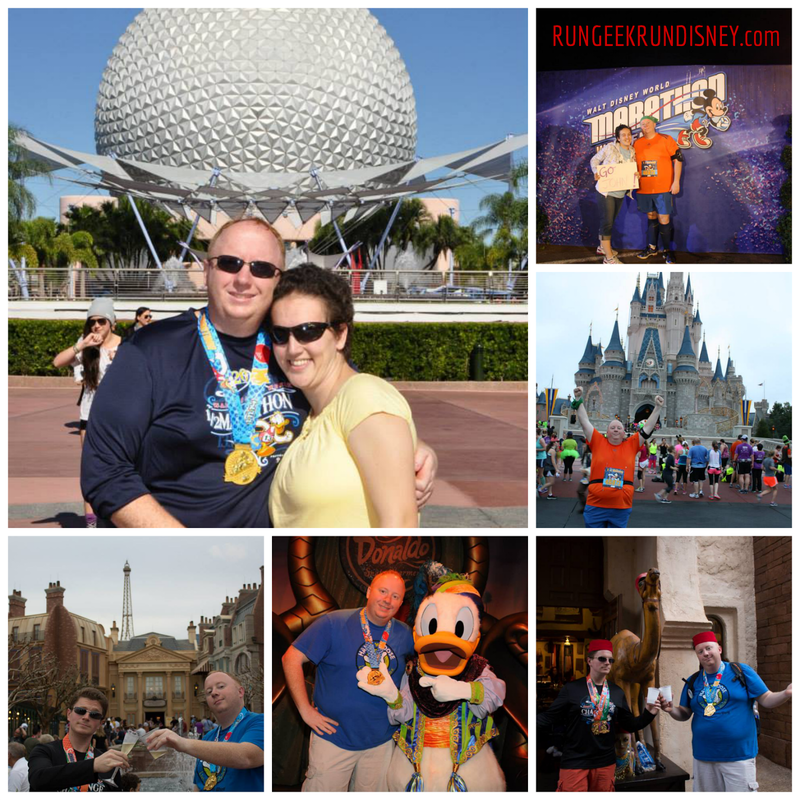 Welcome back to another edition of the Mickey Monday linkup: the linkup centering around a love for Disney, sharing that love and connecting with others. 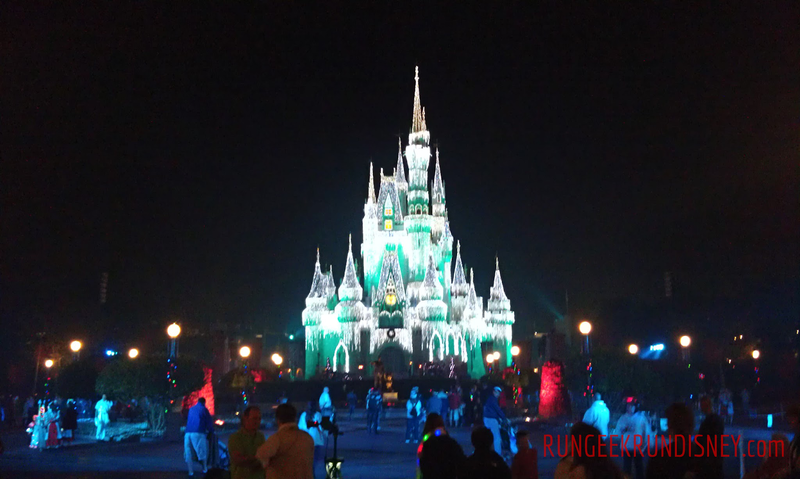 I hope this linkup will become a great place to turn to for Disney content each week and help all the bloggers participating out by helping readers find that great mouse-eared content. I'm co-hosting with Katie from Adventures by Katie, so of course check her blog out. 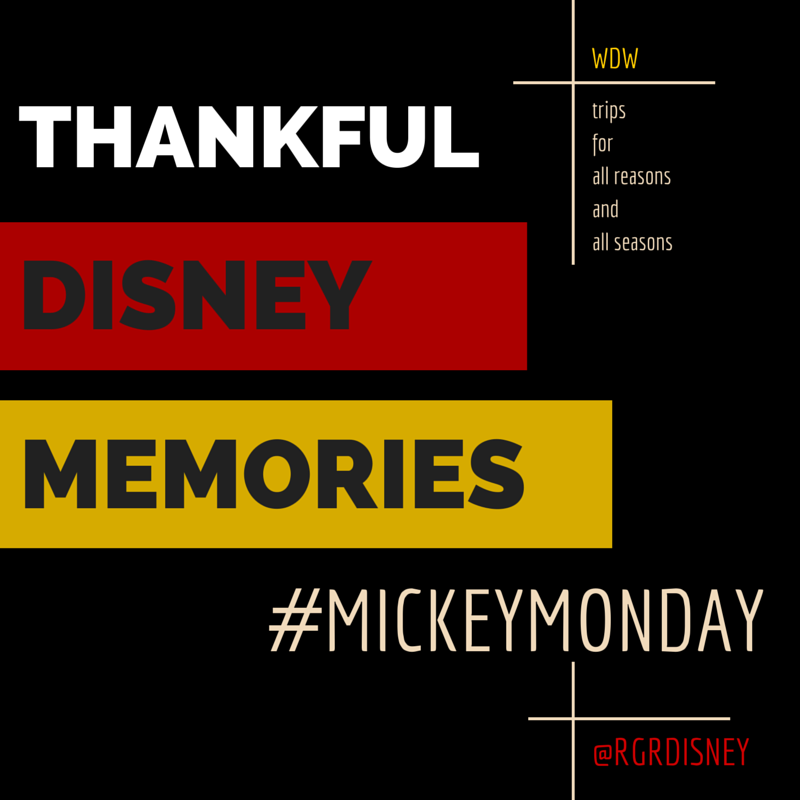 I will always be thankful for the memories I've made at Walt Disney World. I grew up taking a trip with my family about once every 4 years. It was the trip we would look forward to more than a year out; a time of some many great magic memories. Now, I have a Disney loving wife and two little ones to share the memories. First, I'd like to share some of those childhood memories. I remember a bus driver discussing during a thunderstorm that Orlando was the lightning capital of the world, the home of the most lightning strikes. I also remember thinking that was so cool. I remember when Disney's Hollywood Studios was Disney MGM Studios. I remember before there was a giant Sorcerer's Hat and when there was fireworks over Grauman's Chinese Theatre. I remember seeing Cinderella Castle as a giant pink birthday cake. I remember watching fireworks from the pool of the Walt Disney World Dolphin Hotel thanks to my dad being on a Disney trip. I remember when the dining plan used to include gratuity. I remember riding on the monorail from the front car with the driver. I'm thankful for all the amazing childhood memories. 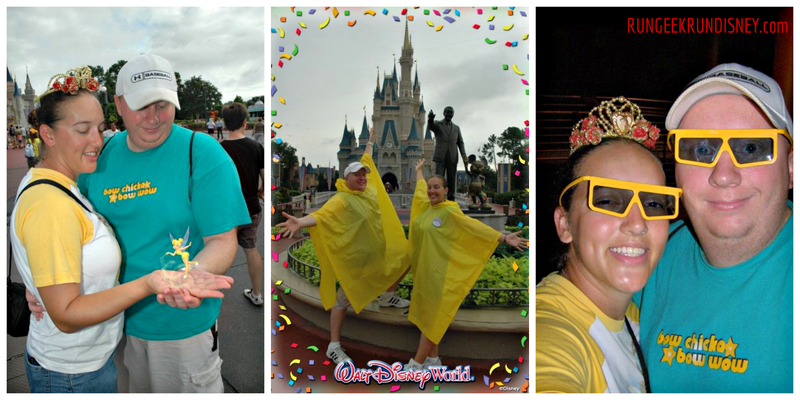 I have so many memories I've made at Walt Disney World. I'd like to share more of those with you, all of which I am thankful for. A spur of the moment trip for my wife's 24th birthday. 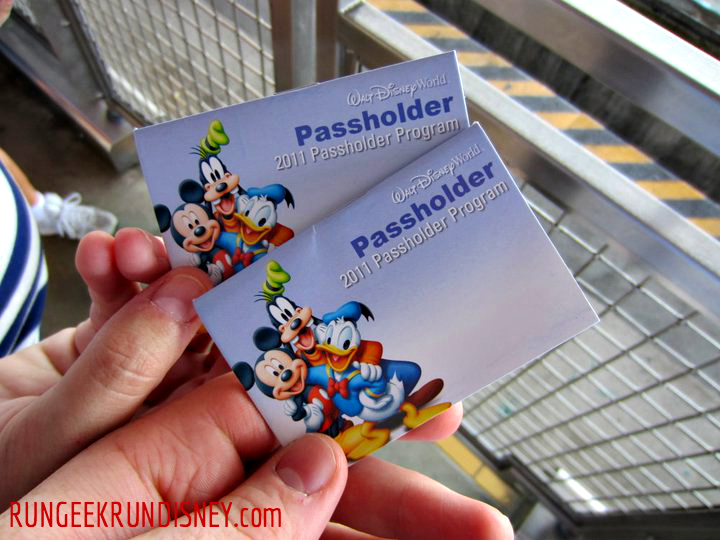 Getting to be an annual passholder due to lining up trips. Several trips for my growing princess. Including Disney at Christmas time. Taking a birthday trip of my own to run my first half marathon. 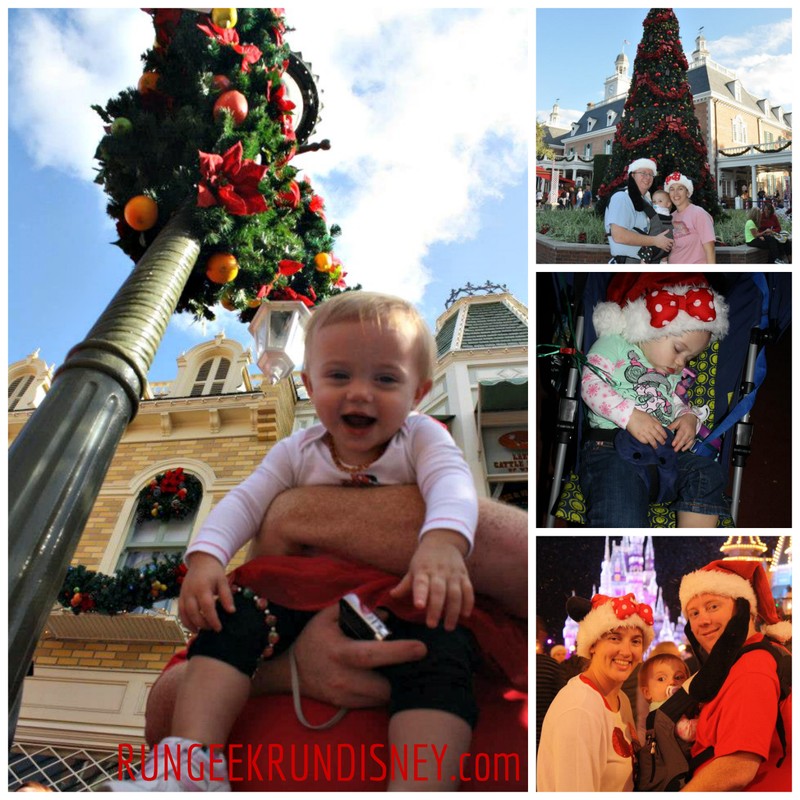 What are your favorite memories from the Disney parks? My number one fall food is an easy one. It is cheese beer soup, as I so plainly call it. It is the recipe I use to make my own rendition of my recent number 1 appetizer in Walt Disney World, the Canadian Cheddar Cheese Soup from Le Cellier. The recipe takes a good bit of work, but is completely worth it. I enjoy the labor of love and I think I'm starting to get pretty close on it. Just needs some more taste testing of the original, if you know what I mean. We've already made it 3 times since the weather cooled down in Virginia. 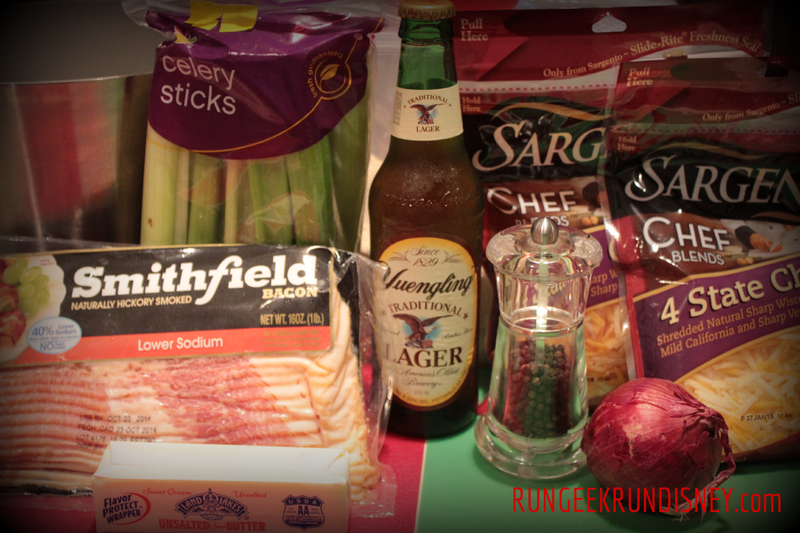 The recipe starts with bacon and finishes with cheese and beer, so how can you really go wrong? The recipe is in my queue of posts to write (in fact, I even took pictures) but I haven't gotten around to writing it yet. Sorry. I'll leave you with a preview picture from the forthcoming post. For my second favorite, I'm actually going to turn to a beverage. 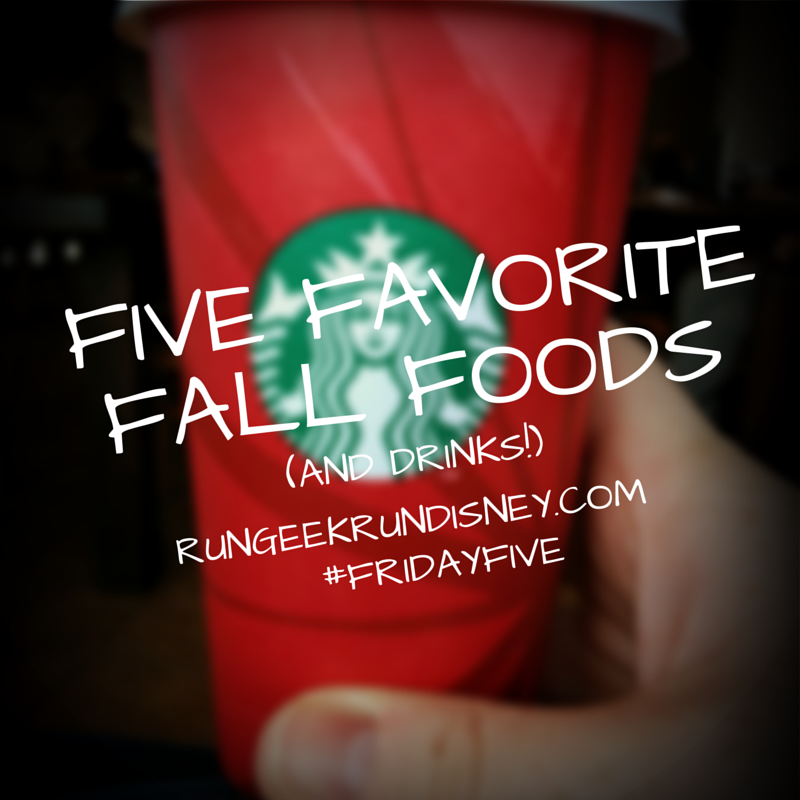 This made my list of favorite fall activities in a previous Friday Five. We've already been having our own cider at home, but I cannot wait for 2 more weeks until we are drinking it non-stop in Colonial Williamsburg. I'll certainly be fueling my 8K with apple cider that weekend. I love slow cooker meals. They're almost always very easy. Most come down to "throw the ingredients in and set to low for 8 hours". Slow cooking has lots of flavor and there are just so many options. Recently, we tried a chicken pot pie over biscuits that is delicious and sure to be a new favorite this fall and winter. We also will cook a roast, ribs, chili and chicken to name a few. I have board on Pinterest dedicated to slow cooker recipes to try. For my daughter, this is a "year round every day food", but I'm placing it on my fall list. Now, I'm not talking about from the blue box (not that there is anything wrong with that). I'm particularly thinking about my wife's homemade mac and cheese. The "Mom's Macaroni and Cheese" secret family recipe kind. She makes the cheese sauce from scratch with a rue, adding until it gets just the right amount of creamy cheesy goodness. Don't have a wife with a secret recipe? Grab some of Panera's mac and cheese for some good comfort food style, which let's face it, fall food IS comfort food. As I have mentioned previously, I'm not a PSL kind of guy. I'm not a "Pumpkin Spice all the Foods!" guy. However, I do have my own personal favorite limited drinks, especially from a certain coffee shop that starts with "st" and ends with "arbucks". The first my wife got me hooked on this year, the Salted Caramel Mocha. This is the drink she waits for every fall to come back and stick around through winter. One random trip to the coffee shop, I decided to get myself one as well and they are delicous. The second, a slight cheat, is the Peppermint Mocha. I say cheat because I more think of it as "winter" but it's out now so it's fair game in my book. I love chocolate. I love mint. I love espresso. I love them all combined. This is always my "can't wait" beverage. Honorable mention (and available all year round) the Campfire Mocha (read: s'mores) with dark chocolate at Caribou Coffee. 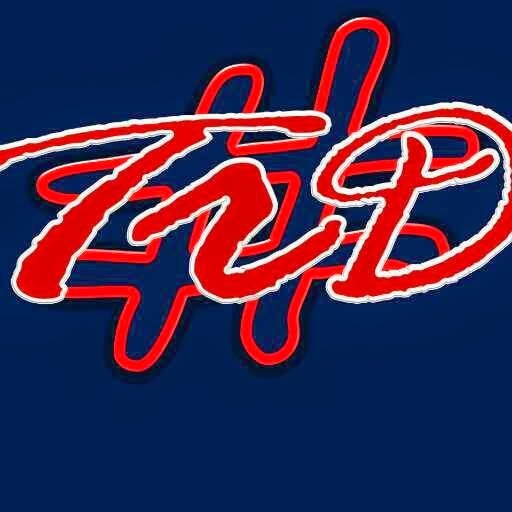 One of the more recent DISDads podcasts covered Appetizers Worth Paying For. The podcast featured a panel giving their top 5 appetizers worth paying for while dining at table service restaurants. I love dining in Walt Disney World. It's one of the best parts, with so many dining options. This podcast topic was right up my alley, so I decided to write up my own list. While not the fanciest of dishes (or best for you) this is a tasty little treat. Heck, in England, it's a very common dish, even considered a "picnic food". When I first tried this dish, I wasn't actually sure I would enjoy it. The center of a scotch egg is a hard boiled egg, which I normally do not enjoy. The egg is then wrapped in sausage meat, covered in bread crumbs and deep fried. Frankly, a nice deep fried dish peeks my interest. I was not at all disappointed with this dish. It's simple, tasty and most importantly deep fried. This dish can be found at Narcoossee's, one of the signature dining experiences located at Disney's Grand Floridian Resort and Spa. This particular appetizer has a special place in my heart. This was a first place I tried fried calamari as a child, when deciding to branch out and try something new. Now, fried calamari is one of my favorite appetizers to enjoy, as something different. Here, it is a fantastic dish, with seasoning beyond your standard Italian restaurant fried calamari. It fits right in with the other seafood specialties of Narcoossee's and it worth your consideration. For my number 3 choice I'm going with a combination choice and one of my favorite dishes in general - wings. Two of my favorite can be found in some of the possibly overlooked dining locations. First, the sticky wings can be found in Disney's Polynesian Resort. These glazed wings are a great starter with the little bit of Polynesian flair. The second are found tucked away in Disney's Animal Kingdom. I love the sweet flavor mixed with the Thai chili in these wings. Both are fantastic choices if you're looking for wonderful wings with a twist. The California Grill is one of the signature dining locations at Walt Disney World. You can find it atop Disney's Contemporary Resort. The menu, as any great restaurant often does, evolves. One of the appetizers that has managed to stay around is the Sonoma Goat Cheese Ravioli. It is an example of how to make something so simple on a base level - cheese ravioli - into a dining delight. My top selection was an easy one. It actually require no thought. It is one dish I always look forward to, always enjoy and even look to replicate. The soup is no secret that it is good. A soup that includes cheese, beer and bacon is hard to pass up. There are many dishes I've thought of trying to make on my own, but only one that I have actually done so: this dish. I've found a recipe online a long time ago, it starts with bacon, ends with beer and cheese, so you know it's good. The recipe takes a while to cook, but is worth the effort. It's improved each time and is a reasonable facsimile. It will just take more trips for the real thing, which I am more than willing to do. 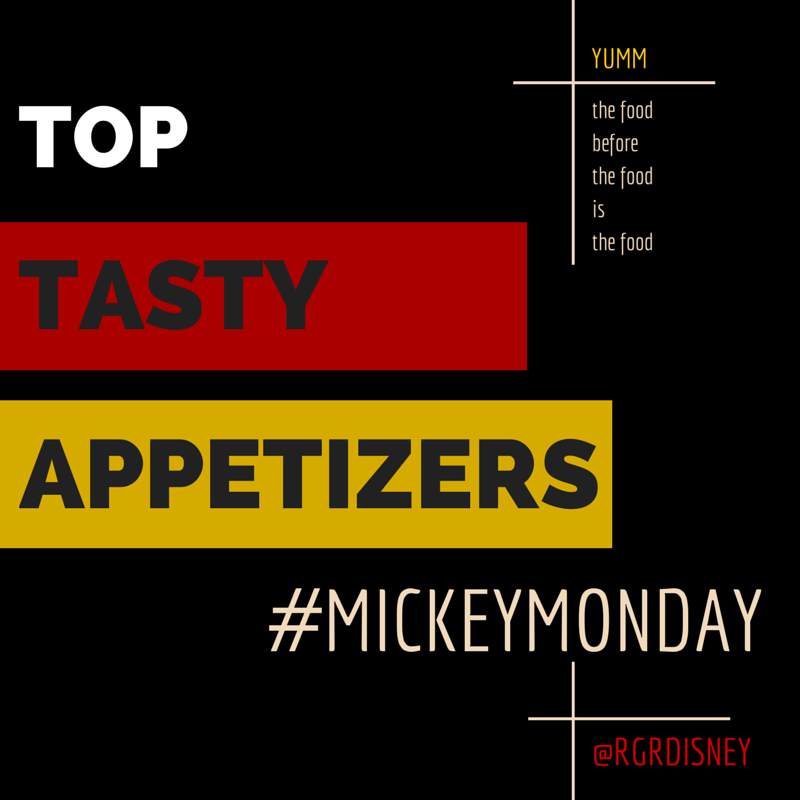 What are your favorite appetizers from the Disney parks? When you run, you get warm. Run faster, get warmer. 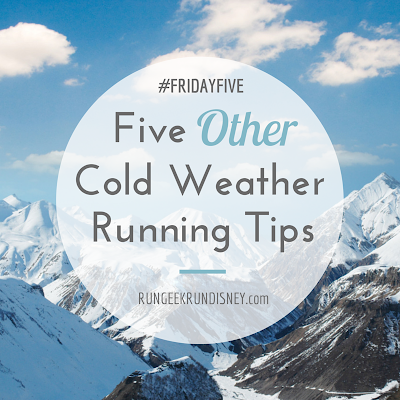 Run even faster, get even warmer. In theory, you should be able to run fast enough for it to feel like springtime. Cold weather adverted. For bonus points, run in corduroy pants and use the additional friction to your advantage. Invest in some battery power. Heated socks , heated shirt , heated pants - it's the way to go. Go more power! Just don't go the way of Tim the Tool Man Taylor. Employ the secret abilities of the alcohol jacket. This comes from a recent conversation on #bibchat, where a typo led to an amazing idea of the rum run. That would, in fact, be a great way to fight the cold as well. If you went to college in the northeast, I'm sure you know the value of an alcohol jacket, so we'll just leave it at that. Simple solution. Live the way of the snowbird. Go away from the snow. Act like a retiree who has the option to spend the winter away from the winter. Florida, Arizona, Texas or maybe a little more exotic like the Caribbean if you're really feeling fancy. Sip mai tais and run in shorts until the spring comes. Just don't forget the sunscreen. The bears may just have this one figured out. Go out, have a grand old time eating all the food, snuggle up in a cocoon of blankets and sleep it off until the weather thaws. Better yet, find a bear. You'll get a big snuggly cuddle partner who will also act as your alarm clock for spring. Granted, it's an alarm clock with claws, but an alarm clock none the less. This year Magic Kingdom Park features "A Frozen Holiday Wish". This stage show features Elsa, Anna, Kristoff and Olaf where they find their way to the Magic Kingdom and ends with Queen Elsa transforming Cinderella Castle into a beautiful ice palace. This past Friday, the Disney Parks Blog live streamed the show. I love when they do live stream events. Sometimes you can see some really cool events, you'd otherwise miss if you can't make it to the parks. Overall, the show was pretty good. There was a minor technical hiccup, where the audio and video were off for a while, but not noticeable to my 3 year old. I personally am a little Frozen-ed out, as many are, but they did a good job over all. I only had one issue with the show. When Anna suggests Elsa use her powers on the castle, Elsa first resists, saying she can't because she doesn't know who lives there. I felt that was the opportune moment, to bring Cinderella into the mix, and let her be open to the idea. However, Anna and Kristoff get the crowd to cheer for "ice and snow" until she agrees anyway. I felt like, why even bring up that she can't because she doesn't know who's castle it is if you're just going to ignore that fact? With that said, and given that I prefer the Fairy Godmother story, it is a good use of Frozen. Queen Elsa's ice powers fit right ini with this, therefore it doesn't feel out of place. In the end, it was good, though due to the technical glitch, I'd suggest watching one of the many other videos of the show. 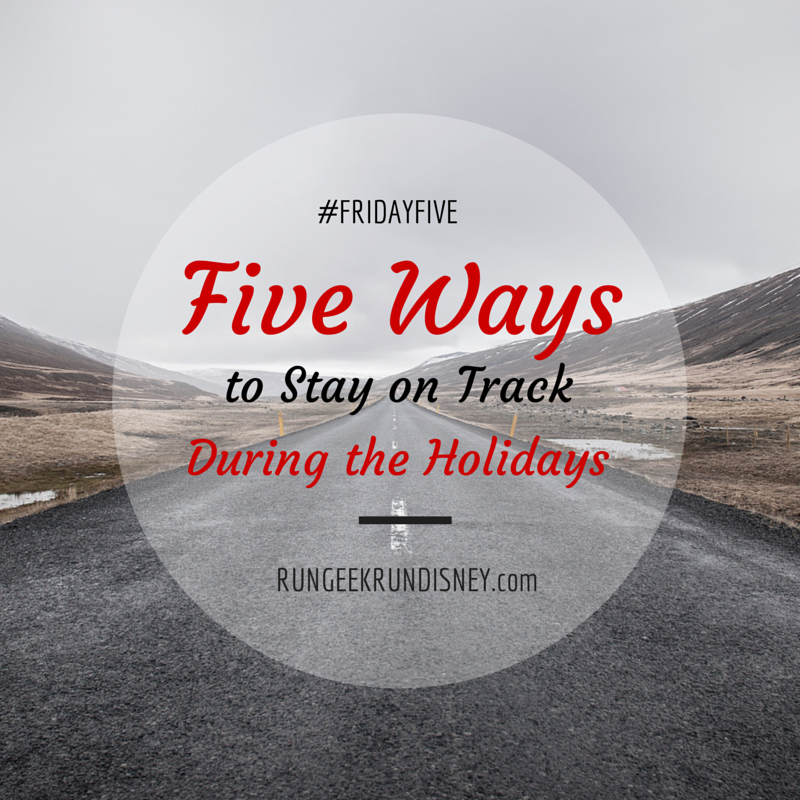 The first and easiest way to stay on track is to sign up for a race, or in my case several. When you sign up for a race, that's a guaranteed run. With that, hopefully you'll train, which keeps you active around the race. I personally signed up for the BRATS Holiday 5K Series. It's a set of 5K races: one on Thanksgiving day, one in December and one in January. This will help keep me going into the new year. 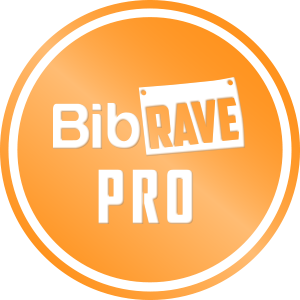 Each race includes a tech shirt and if you run all three: bling! 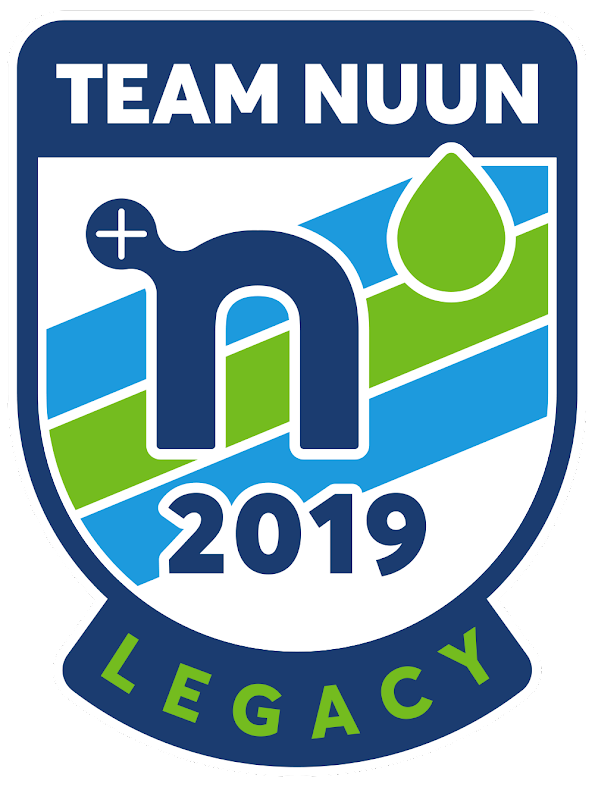 So why not check out the post for registration information and join me. The best part, if you sign up for a Turkey Trot, you'll run and earn another plate at dinner, without the side of guilt. There a plenty of apps out there that you can use to help keep yourself on track. They can provide you check points, tracking, even rewards. I am a member of WeightWatchers, so I use their app to track all that I eat and drink, as well as activity points earned. A popular free tracker is MyFitnessPal. I haven't personally used it, so I can't vouch for it, but it's very popular so it must be doing something right. Before my Force was recalled, I used the FitBit app to track water intake with my steps and it allowed for food tracking as well. It also doesn't stop with tracking your food. I also recently started using HabitRPG, which provides gamification for good habits. I actually am working on a write up on the app, so be on the watch for that. So get yourself an app, preferably one with notifications to annoy you. Along side of an app, you can commit yourself to a challenge (which may, in turn, have an app). There are numerous 30 day challenges you can choose to partake in. Or, you could choose to join a DietBet. In DietBet, you put some money down to join a challenge to lose a certain percent of body weight, such as 4% in 4 weeks. If you don't make the goal, you lose your money. If you make your goal, you get your money back, as well as a portion of the money lost by anyone missing the goal. Pretty good deal, if I do say so myself. This is something I use day-to-day to keep myself on track. Every morning, I review two things: a set of mantras and a list of why I'm losing weight. Having those reminders help to build my confidence, keep me on task and give me some guidance. All of those things are important to have when trying to keep on track. Who doesn't love new gear? The holidays is the perfect time to get some new gear. The best part, when you get that new gear, then you'll want to use that new gear. When you use that new gear, then you're active. When you're active, then you stay on track. Q.E.D. I previously wrote to you about a product I love. That post was entitled RoadID - You Should Have One Already. Check that post out if you want to see what RoadID is all about. They offer fantastic products all about keeping you safe and giving you peace of mind. 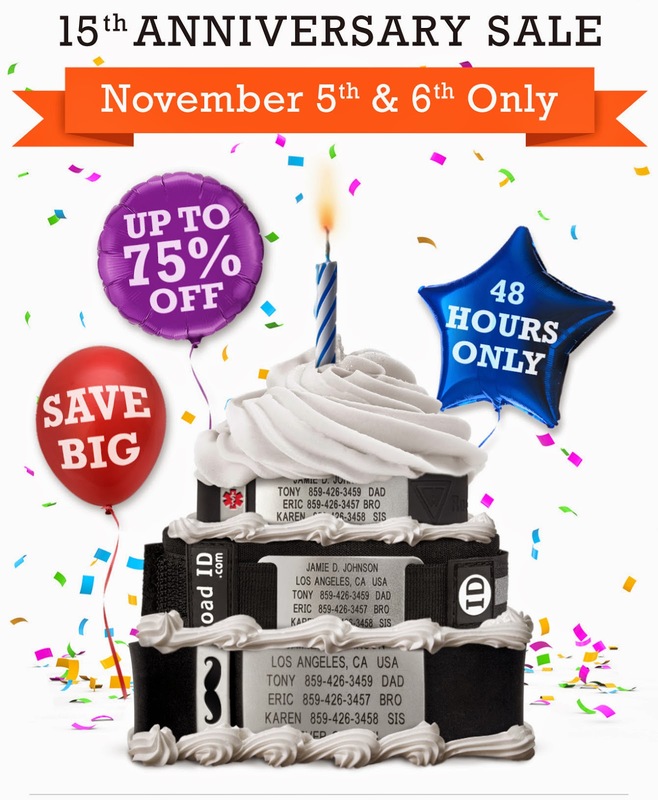 Right now is their 15th Anniversary, so they're having a huge sale. IF you didn't listen to my last post and go out and buy one then, there's not better time than now and you get the benefit of a sale. My last post concentrated specifically on their RoadID product (it's not just a company name) but they also offer visibility gear and apparel. You can get 20% off their high visibility gear (which includes lights are reflective gear) and up to 75% off apparel. RoadIDs are 25% and you can even grab spare bands or badges for 20%. Don't have a RoadID? Go get one! Have one? Why not get a band in another color or a badge to spice it up a little. You only have 48 hours for the sale, which is already started, therefore less than 48 hours to get one on sale. Don't wait. Disclaimer: I was not paid or compensated in any way for this post. I wrote it simply because I truly think everyone should have one and wanted you to be aware of the sale. I also personally bought my own. I am however now a member of their affiliate program, which just means if you click the linkies, they'll know I sent you, and if you buy, I get something back. However, I just care that you go get one. Please be safe out there. This week, I'm trying something a little different. Instead of just having the linkup code posted on only our two blogs, I'll be making it available to anyone participating to place on their blog (if you so wish). Check out after the post for more information. So what is a DIS Dad? Well, the best place to start is disdads.com. You can read the full about page there. 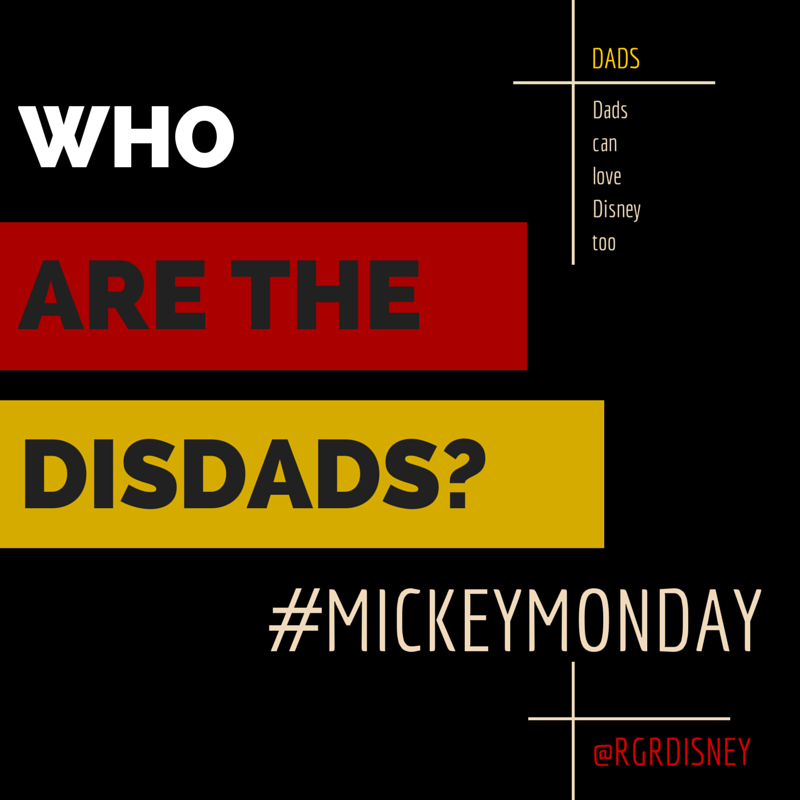 DISDads are a group of Walt Disney World fans, with a chromosomal commonality. We share a unique perspective, as male Disney fans are the minority. That perspective binds us together into an informal mouse-eared brotherhood. The DISDads started from the DIS Boards site. What is DIS Boards you say? Aren't you just full of questions today? DIS Boards is a discussion forums site centered around all things Disney. And when I say "all things" I really mean it. You can find anything you want to talk about on there. I've popped in a couple of times into different discussions and there are great people there. In fact, that's how I discovered the DISDads to begin with. I had seen DISDads listed in someone's signature and followed the breadcrumb trail right to them. Now, they have their own site, discussion boards and podcast. What does it take to be a DISDad? Being a DISDad is a pretty simple process. 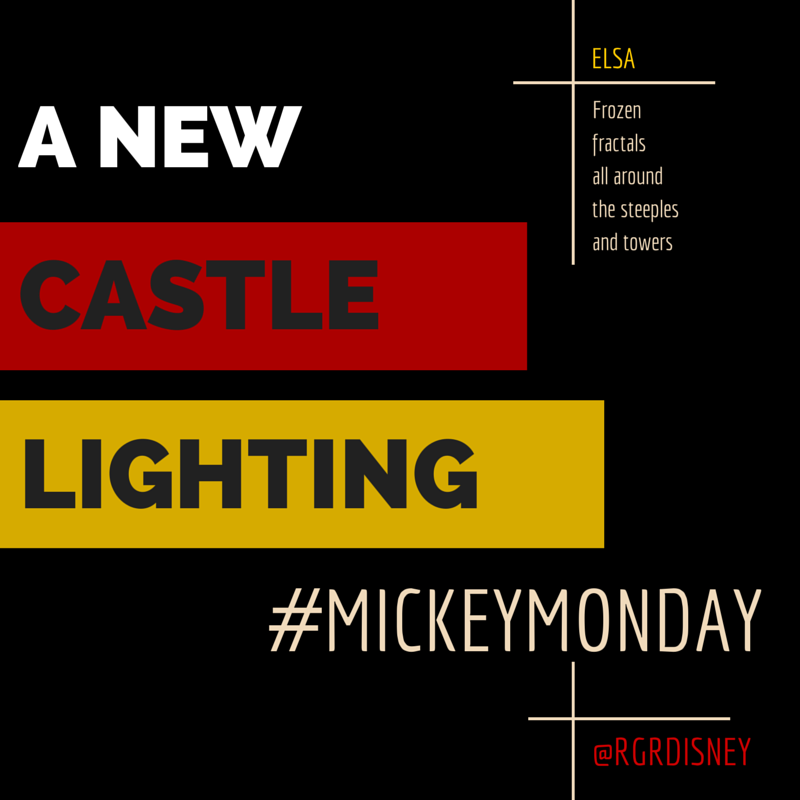 The easiest way to put it is if you're a big kid at heart that loves Disney and wants to be a DISDad, you're in. 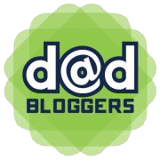 There is a full list of criteria that you can find on the DISDads site, as well in DISBoards and the DISDads boards. It's a list of 124 items, that if you meet any of the criteria, you're qualified and will fit in just fine. If you want to get a DISDads number and meet the criteria, stop by this post on DIS Boards. From what I've found, that seems to be the home to get the official number if you so desire. All you need to do is register for the site, post a message and await the welcome into the tribe. You're right now talking to DISDad #785. You can even check a post for the official number list. Where can we find the DISDads? The DISDads are everywhere. No, we're not the Illuminati. There is a strong presence on DIS Boards, where they got their start. In addition, I already linked to their site DISDads.com. On their site, they also have their own discussion boards. That's another great place to connect a chat. you can stop by either location to talk Disney, bacon, beer, anything really or ask a question and seek out advice. You can even stop by just to say hi and nothing more. They also have their own podcast, which is really great. They talk Disney rumors, have people on to discuss their trips, talking about the parks, the rides, the resort... any and all aspects. The dads on the podcast are great, headed up by Aaron Rittmaster and features DISDads on the topics for that podcast. I highly recommend it, so check it directly from the DISDads site (stream it or download it) or subscribe on iTunes. I'll just wrap it up by saying these are a great group of guys - very friendly and welcoming - so stop by and say hello if you'd like. Their podcast has great content and insight, so even if discussion forums aren't your thing, give it a listen. If you enjoy Disney, you won't be disappointed.